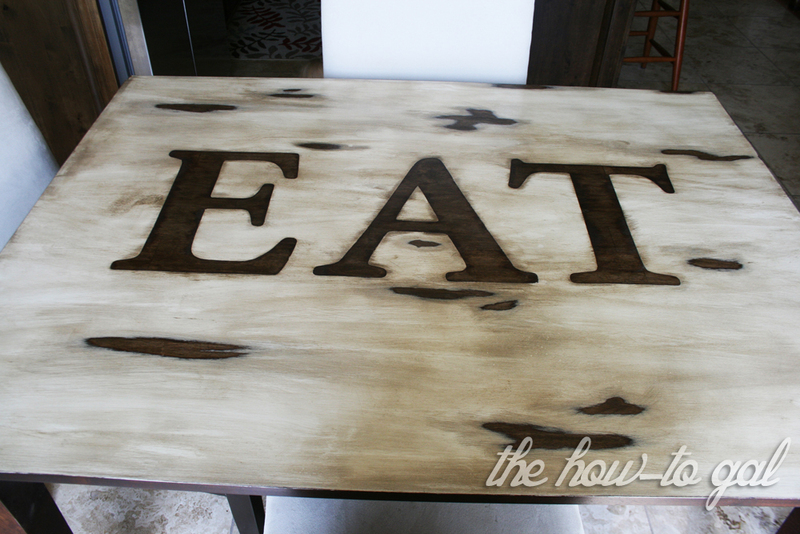 Remember the teaser image I posted a few weeks ago for my "EAT" table? Well, today is the day to finally reveal the finished product! This project required a TON of preparation and thanks to 3MDIY.com I was able to take the proper steps to protect myself and create a quality product. 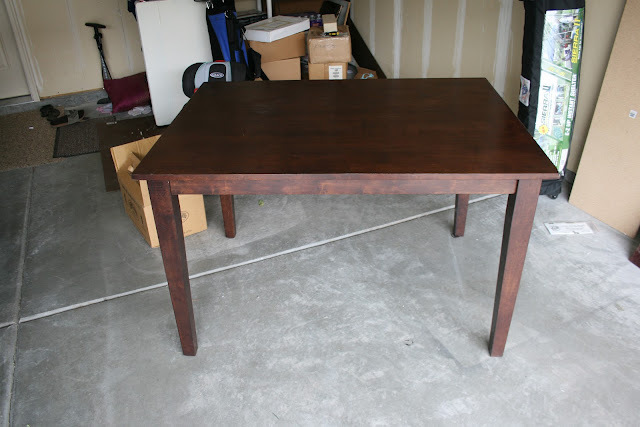 This summer, my neighbor decided to sell her dining room table to upgrade to something bigger. With a price tag of $20, I couldn't resist. I snatched it up with big plans in mind. 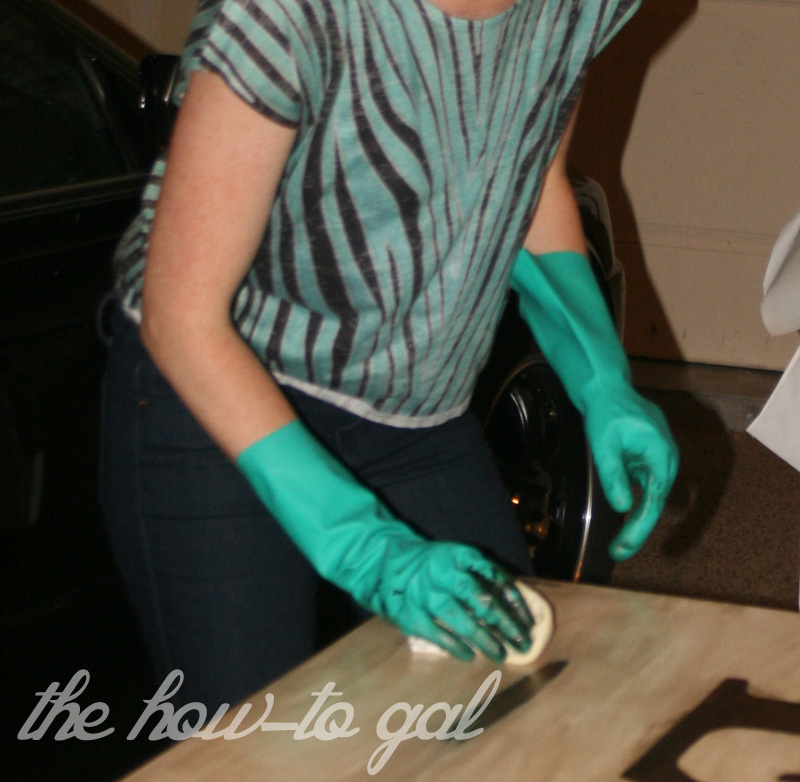 First, I sanded down the table top with 3M Advanced Abrasives sandpaper. There were a few damaged areas, but nothing major. The legs were in perfect condition so they were left completely alone. 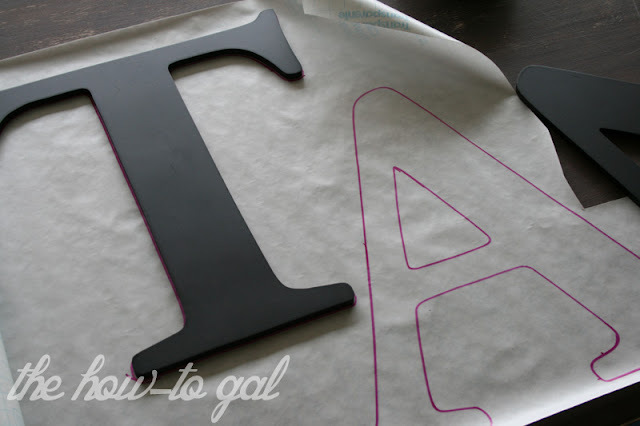 I searched for the perfect letter templates and found these large MDF pieces at Michaels for a little over $1 a piece. 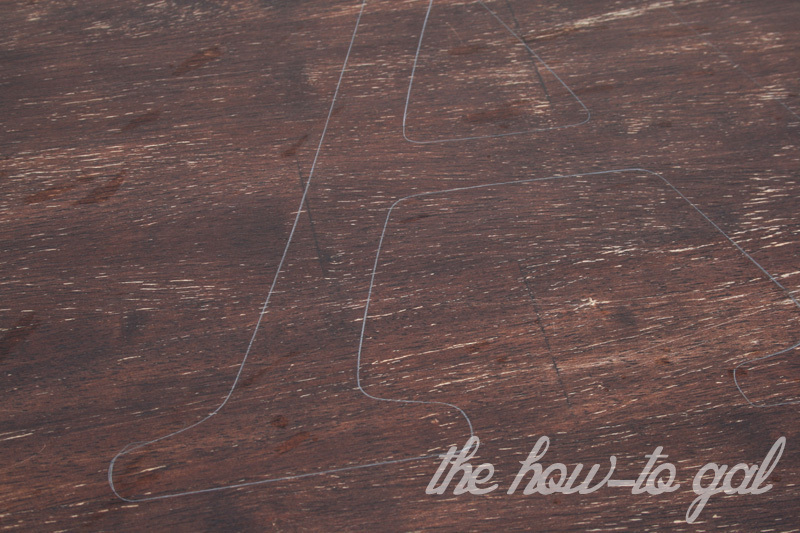 I placed the letters on the table and traced around them with pencil. 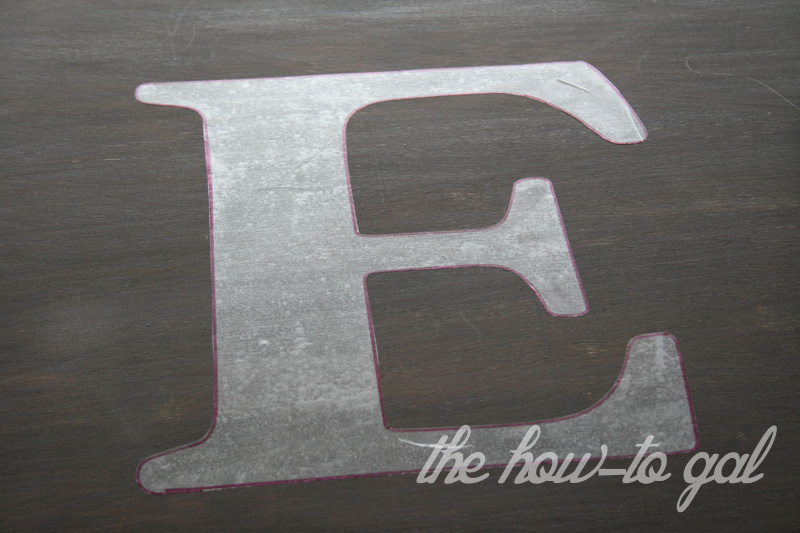 Then I cut the letters out of contact paper and stuck them onto my pencil-drawn template. I covered the sides of the table with ScotchBlue Painter's Tape to guard against paint drips. 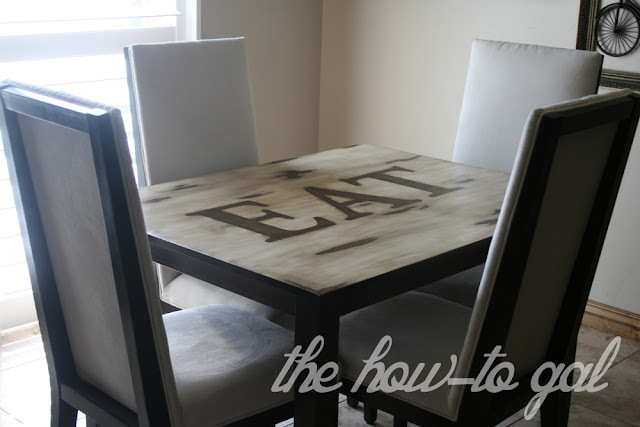 To really make the letters pop, I painted the table top with three coats of cream, latex-based paint. 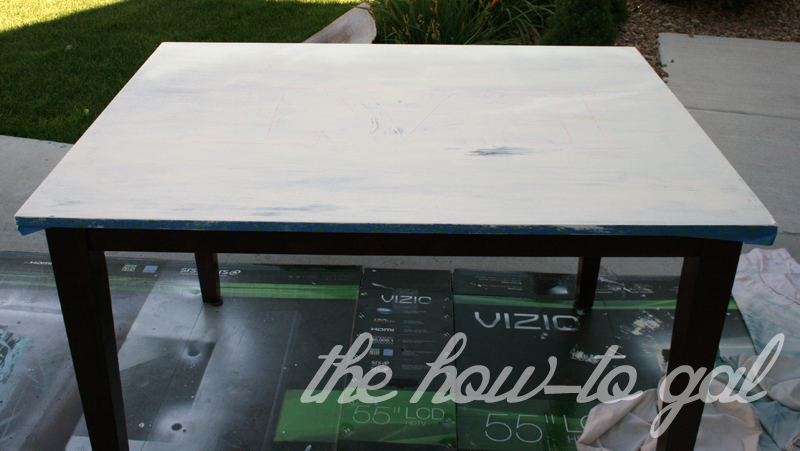 I didn't paint it perfectly or even cover the table completely because I planned on distressing it later. 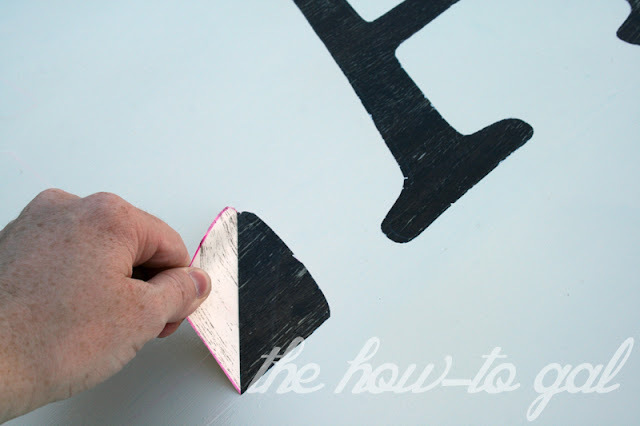 I waited until the paint was dry to peel off the contact paper. This was a mistake...peel it off when the paint is still a little wet. I think you'd get cleaner lines. 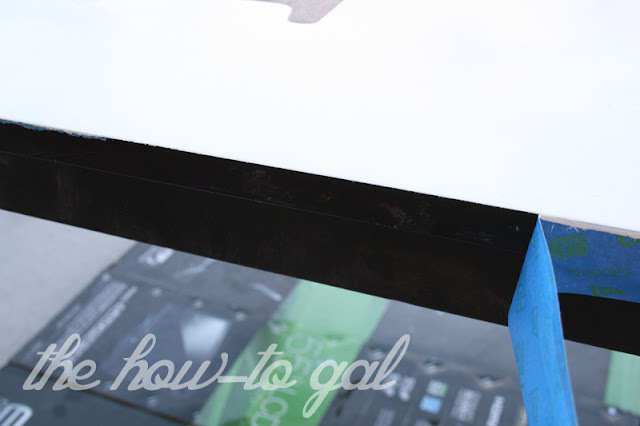 ScotchBlue Painter's Tape = perfectly crisp lines. 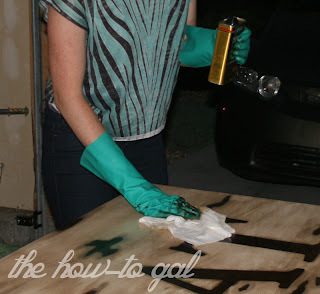 For the finishing touches, I sanded down certain areas and the edges to the wood grain. Then I wiped a few layers of stain over the top, focusing on the areas where the wood grain showed through. The stain seeped into the cracks and crevices of the painted surface, giving it an "old world feel." When the stain was dry, I covered the top with three coats of polyurethane. 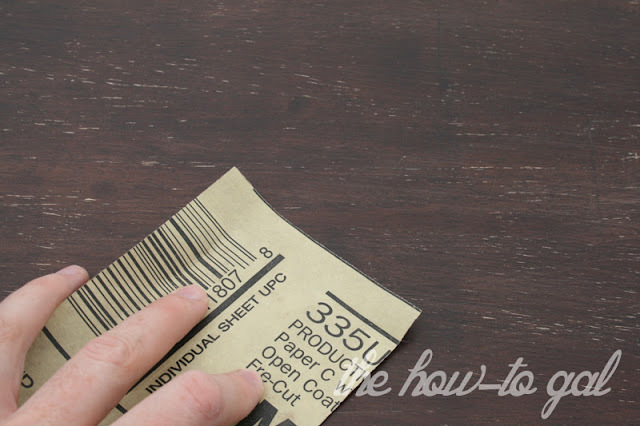 Follow the instructions on the back of your particular brand. Mine required four hours of dry time and a light sanding in between coats. When staining or working with polyurethane, be sure to protect your hands with 3M TEKK Protection. The finished table! It really is beautiful. 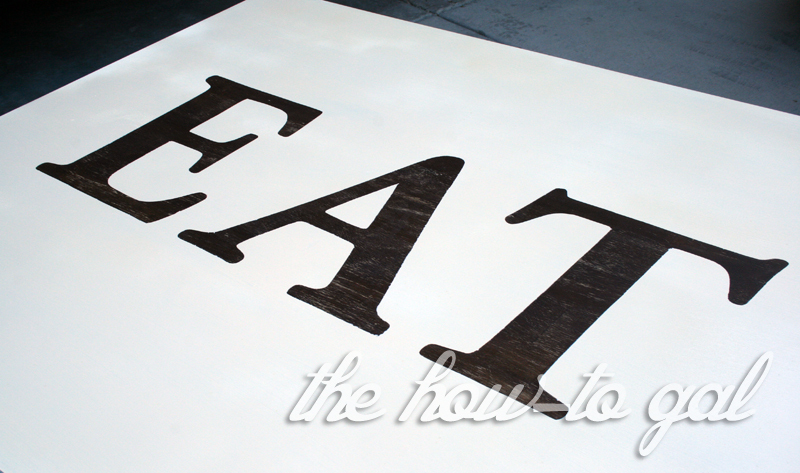 My favorite part is the amazing texture from the exposed letters. It almost looks like they were inlaid in the table. With a little preparation and a few Saturdays, I was able to turn a run-of-the-mill dining room table into something truly special. 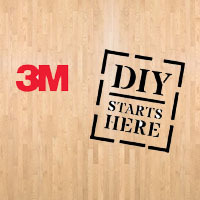 You can also enter to win a 3M Safety Product Pack on the 3M DIY Facebook Page. Anna Rose, you continue to amaze me with your incredible ability to do things so well. so fun! I need a friend like you to help me decorate! 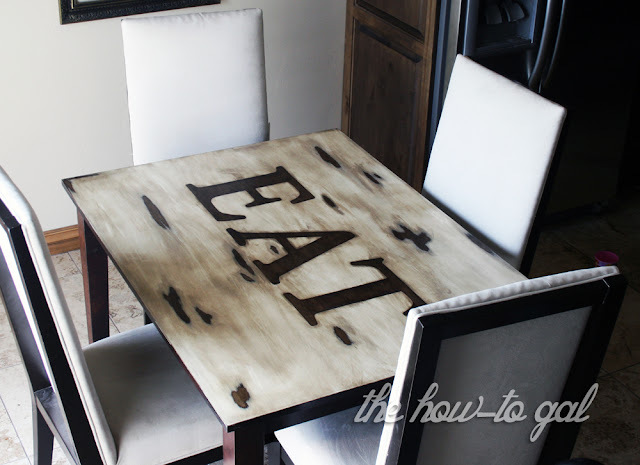 This is such a cute table! Love how it looks and the quality of it! Found this article from eieihome and thought you would think its helpful/interesting for 2013 kitchen trends. 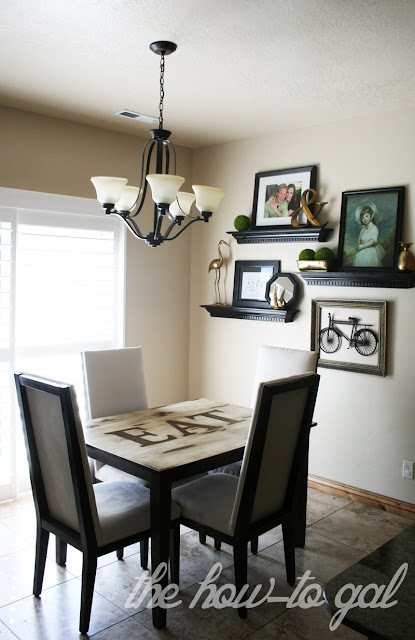 (eieihome.com/blog/5-kitchen-trends-to-watch-for-in-2013.html) Hope you like it, have a great weekend!